El Salvador, a small country of Central America, has a tropical climate, hot all year round along the coast and in the lowlands below 1,000 meters (3,300 feet), which are called tierras calientes, with little difference in the temperature (only a few degrees) over the seasons. The real difference is found in rainfall and humidity: the rainy season, from late April to October, is also definitely muggy. In the capital, San Salvador, 1,750 millimeters (68 inches) of rain fall per year. From June to September it rains a lot, about 300 millimeters (12 inches) per month, distributed in 20 days; on the other hand, from December to March it almost never rains. Here is the average precipitation. Rainfall occurs mainly as downpour or thunderstorm in the afternoon, so the amount of sunshine, which is great in the dry months, remains acceptable even during the rainy season. Here are the average daily sunshine hours. The city is located at 700 meters (2,300 feet) above sea level, so it's still in the tierras calientes, but the altitude makes the heat more bearable, in fact the maximum temperature ranges from 29 degrees Celsius (84 °F) between September and November to 32 °C (90 °F) in March and April, which are, though slightly, the hottest months, before the rainy season. The night minimum drops a few degrees below 20 °C (68 °F) from November to March. Anyway, even here the rainy season, from May to October, is sultry. Here are the average temperatures in San Salvador. Along the coast of the Pacific Ocean, the heat is more intense, so much so that lows range from 22 °C to 24 °C (72 °F to 75 °F) and highs from 31 °C to 33 °C (88 °F to 91 °F). However, there can be also very hot days, when temperatures can reach 35 °C (95 °F). During the rainy season (which occurs in the same period as in San Salvador), the weather is hot and muggy. In the inland valleys located at low altitude, the distance from the sea makes the heat even more uncomfortable because of the less windy conditions. Here are the average temperatures of Acajutla, located in the western part of the coast. For a beach holiday, the sea in El Salvador is warm throughout the year, in fact the water temperature ranges from 28 °C (82 °F) in January and February to 30 °C (86 °F) in April and May, as we can see in the following table. In inland areas, there are volcanoes, plateaus and mountains, and the weather gets cooler with altitude. At intermediate altitudes a cloud forest grows; at high altitudes, above 2,000 meters (6,500 feet), it can get cold on winter nights. The highest point is Cerro El Pital, although the summit, 2,730 meters (8,957 feet) high, is located in Honduras; from November to March on the top you can see the snow. From December to March, sometimes El Salvador is reached by the Norte, a cool wind from the United States, which in the plains can bring at most a bit of cool weather in the evening and at night, while in San Salvador it can bring a bit of cold at night, with lows around 10 °C (50 °F). In the period from June to November, but especially between August and October, El Salvador can be affected by hurricanes. The hurricanes coming from the east, ie from the Caribbean Sea, release most of their energy on Honduras, but they can still bring heavy rains to Salvador, especially in inland and mountainous areas. Then there are the depressions and tropical storms that can be formed on the Pacific, as early as mid-May; they are usually not intense because they affect the country in the early stages of their formation, but they can still bring heavy rains, which can in turn cause landslides and floods. 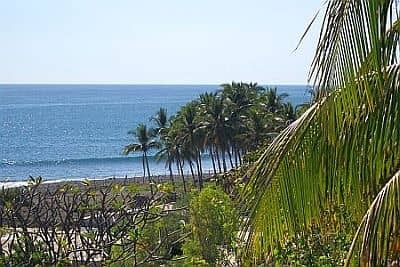 Whether you intend to visit cities and go on excursions, or to go to the beach, the best time to visit El Salvador runs from December to mid-April, since it is the least hot and the driest. In the plains, December and January are preferable because they are less hot. All year round, bring light summer clothes in the plains, a light sweatshirt for the evening from December to March; a sweater for the evening in San Salvador. From May to October, possibly a light raincoat for thunderstorms. For the mountains: hiking shoes, a jacket.